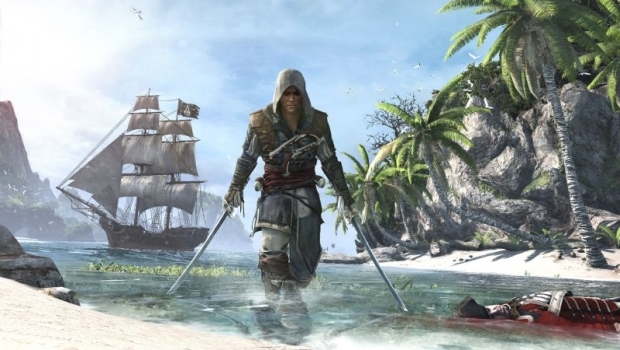 Assassin’s Creed IV Black Flag – “Under the Black Flag” trailer. Yarrrr! Included with the trailer is an infographic riddled with facts about the Golden Age of Pirates in the 18th century. We’ve referenced multiple sources to provide a visual introduction to the period. You’ll learn about the events that made this Age of Piracy possible, get a taste of the living conditions that might make an honest sailor turn pirate, and uncover some of the key places, people and events that you will experience in Assassin’s Creed IV Black Flag. The game is hitting on October 29th on the PS3, XBox 360, Wii U, and PC, with a launch date on PS4 and “other next gen consoles”. being unspecified, but likely at launch.